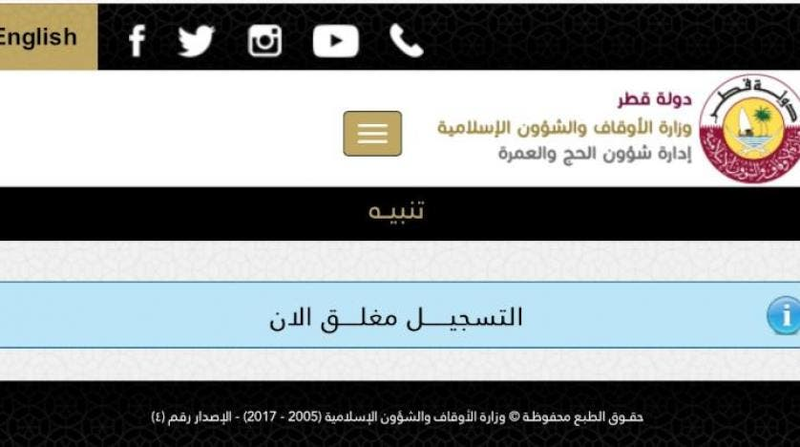 Qatar’s Ministry of Endowments and Islamic Affairs appears to have suspended registration for the upcoming Hajj pilgrimage, after a message on their registration website indicated it was closed for the time being. This comes despite Saudi Arabia’s announcements that all citizens and residents of Qatar are welcome to attend Hajj this year and are able to fly to Mecca through any airlines except for Qatar Airways. According to Saudi Arabia’s Ministry of Hajj and Umrah, Qataris who wish to perform Umrah or Hajj can go to the kingdom via any airlines except Qatar Airways and through any flight routes to the kingdom except through Doha. They should enter through King Abdulaziz International Airport in Jeddah or through Prince Mohammad bin Abdulaziz International Airport in Medina. A message on Qatar’s Ministry of Endowments and Islamic Affairs reads that registration for Hajj this year has been closed. “As for Qatari citizens and residents in Qatar who have hajj permits from the ministry and from the relevant department in Qatar, they can fly directly from Doha or any other transit station via any airlines except Qatar Airways. The airlines must be chosen by the Qatari government and the Saudi General Authority of Civil Aviation must approve it. 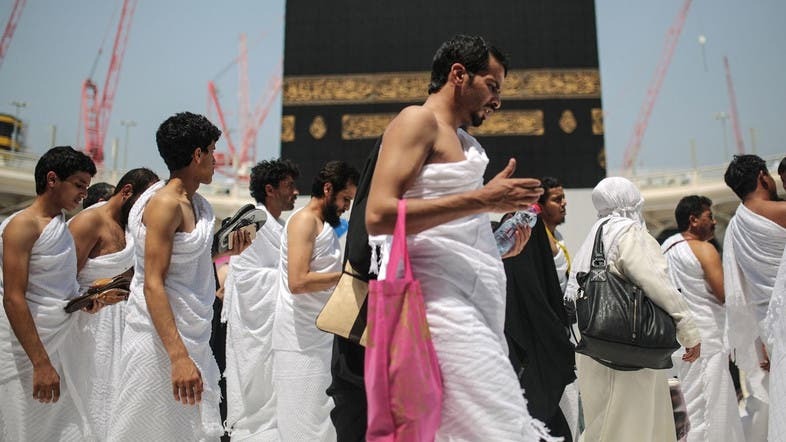 The pilgrims should only enter through King Abdulaziz International Airport in Jeddah or through Prince Mohammad bin Abdulaziz International Airport in Medina during this hajj season,” the statement released last week read. Several media outlets reported last month that Qataris were denied access into Mecca and the two holy mosques, which Saudi Arabia has denied.